Visit Seattle Washington to explore the largest city in Washington State. Known for it’s technology, coffee, and airplane manufacturing, Seattle is also a vibrant urban center. You will find excellent accommodations for your stay, savory dining and delectable desserts, as well as shopping, entertainment, and activities to fill your days. See Seattle webcams for current weather conditions. With Canada so close to the north Seattle has become a major international shopping destination. The larges shopping malls in Seattle are Northgate mall located to the north and Southgate mall located just south of Seattle. Downtown Seattle offers a bustling shopping district with all the popular stores including the flagship store for Nordstrom. Many large chain stores are popular including Costco, Walmart, Winco, and many more. Seattle is also home to many boutique shops that offer a custom experience. 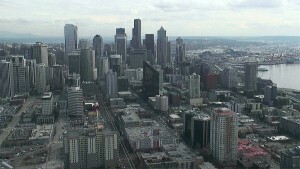 Downtown Seattle offers a core business district as well as restaurants and hotels. Visit the pier to take a ride on the Great Wheel or to depart for Victoria BC on board the Victoria Clipper. With more than just “10 Things You Must See and Do in Seattle” plan to spend time to visit all the attractions that Seattle has to offer. Include the world famous Space Needle. Visit the Seattle Underground Tour to learn more about the history of Seattle. From “Building Seattle” – 1905-1930: Seattle regrades, Mashable, August 18, 2015. 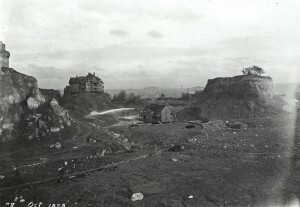 Seattle was literally rebuilt from a swampy and hilly terrain into the municipal center fallowing a fire which destroyed much of the original downtown. Mashable put together a great expose showcasing how Seattle was rebuilt. The Seattle area offers the Puget Sound wine region.